Enter the all new 2017 Nissan Murano. With it’s sleek exterior design, stellar performance and an exceptionally comfortable interior make; this SUV from Nissan is the perfect car to enhance your family’s time on the road. The Murano will also make your daily commutes most enjoyable with it’s powerful technology integrations. The Murano SUV interior cabin conveniences keep you and your passengers entertained and connected. Features like heated and cooled front seats (optional) ensure that you can always command the road in optimal comfort, especially with the 8-way power driver’s seat. Nissan’s NissanConnect℠ infotainment system with Navigation and 8-inch multi-touch control color monitor is available. Stay in control and entertained with the 2017 Nissan Murano. 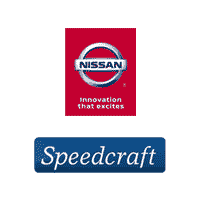 You and your passenger’s safety is a top priority at Speedcraft Nissan. Advanced safety technologies help you avoid potential dangers on the road. Driver-assistive features aid you by monitoring your surroundings. Features like Rear Cross Traffic Alert act as a second set of eyes on the road, so you always have a copilot looking out for you. If an accident does occur, rest easy knowing Zone Body construction with front and rear crumple zones can mitigate any impact to keep everyone in the Murano as safe as possible.